Customize the portal name to brand your version of the system. Use theEdit Portal Settings pop-up to change the portal name that appears above the address bar. The changes made in the Edit Portal Settings pop-up are applied immediately and are visible to all users. 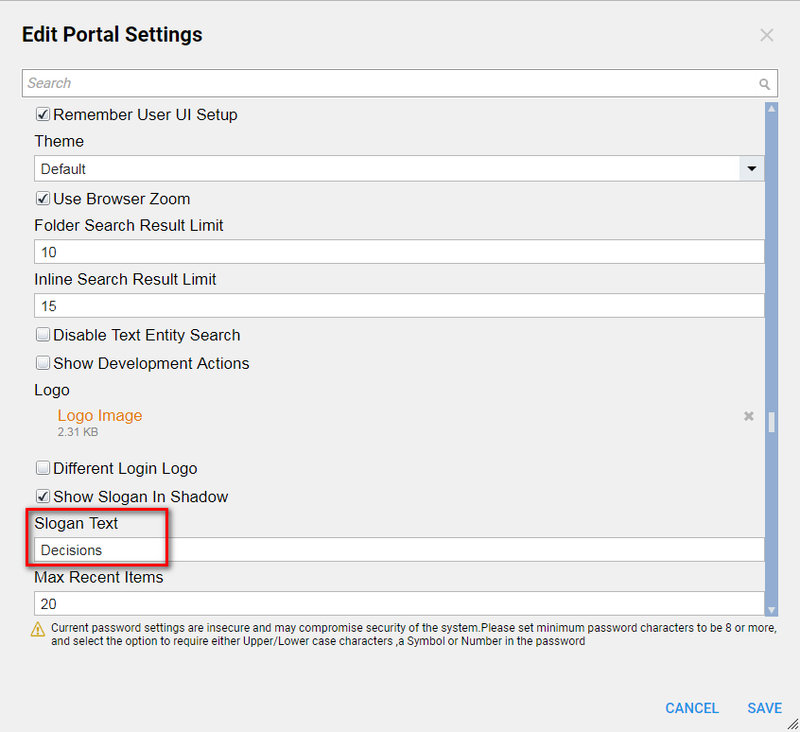 In the example, change the portal name in the Edit Portal Settings	, now view the changes in the portal. 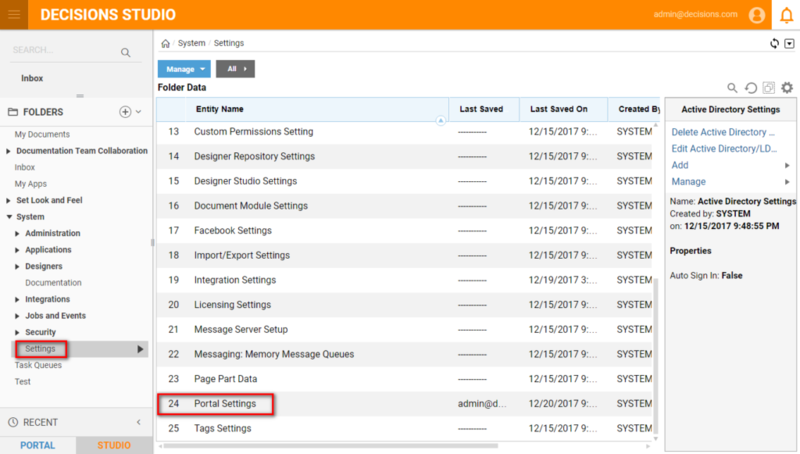 Begin by navigating to the folder System > Settings	and selecting Portal Settings	from the folder data panel. We select Edit Portal Settings	from the entity actions menu in the lower right. To update the text that appears in the address bar and above it, locate the Slogan Text	field and update the text. The updated text will appear in the portal in the address bar and above it. Select OK	andthe updated slogan appear in the portal.